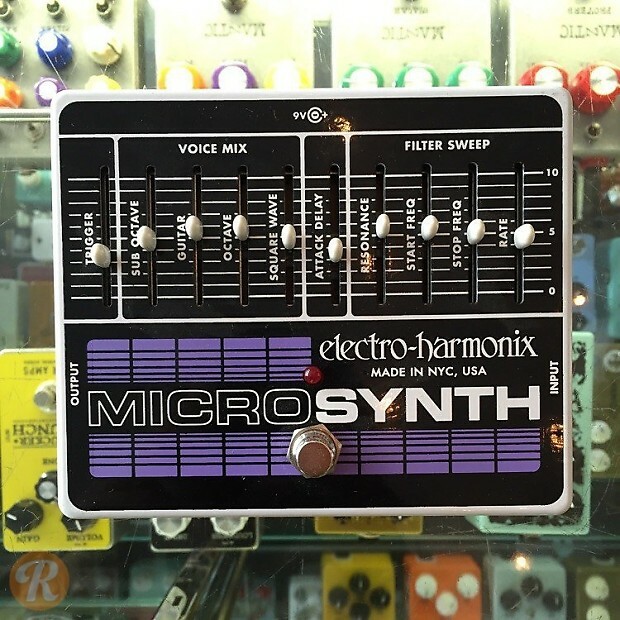 The Electro-Harmonix Micro Synth updates their popular '80s Micro Synthesizer, creating analog sounds with modern updates. 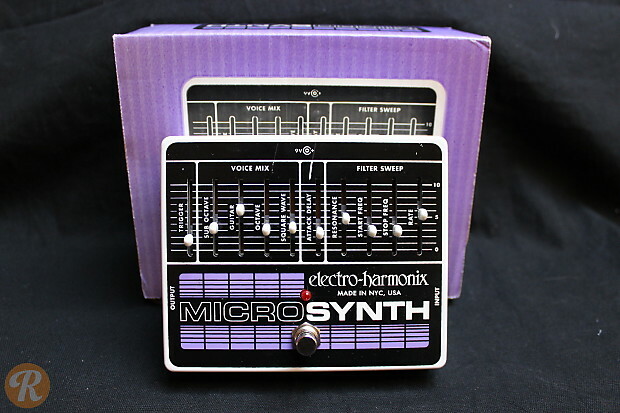 The Micro Synth boasts a ten-slider layout, a four-voice mixer, a square wave voice, and adjustments for filter resonance, attack time, and more. These controls give way to a myriad of analog synth sounds for a guitar.